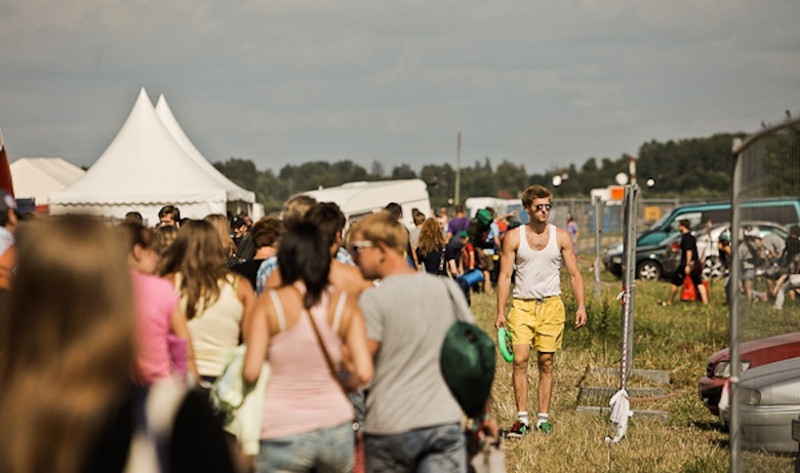 The Positivus Festival starts when you hit the road. There are many ways of getting to Salacgrīva, where the largest music and art festival in the Baltics will take place; which one are you going to use? Together it is always more fun! One of the most convenient ways of getting to the Festival is Positivus Shuttles – they are departing from Rīga, the Mall Olimpija (Āzenes iela 5) and arrive at the main gate of the Festival. Another way of getting to the Positivus Festival with good comfort is the Baltic Taxi taxis, which. You can by the vouchers on positivusfestival.com. If you choose your car, you can leave it in the official Festival’s parking lots. The organisers remind: it is strictly forbidden to build tents or canopies or to use grills and other equipment in the parking lot. The cars must be parked in accordance with the instructions from the Festival’s staff. Sleeping in the car will be permitted. If you arrive on a bicycle, it is possible to leave it in the unattended parking lot by the entry of the Salacgrīva School. It is forbidden to move around the Festival’s territory on bicycles. If you come with a camper, you can park it in the Tent Campsite or a car park lot. Festival site address: Sporta iela 6, Salacgrīva.